Rosé, the pink wine that has forever been linked with sun-soaked summers, beach holidays and cruise trips, has more depth and complexity than one might have thought. 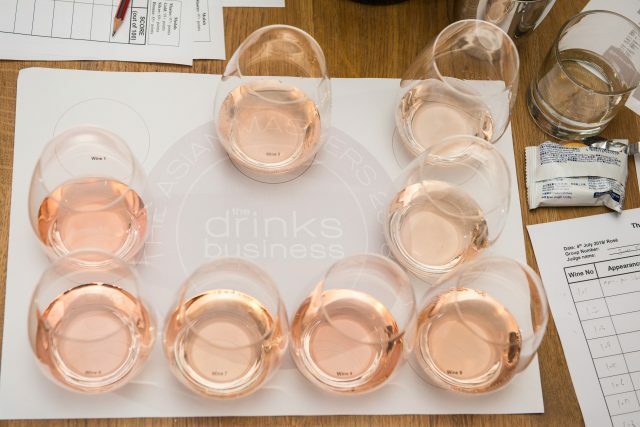 Top medal-winning wines from our inaugural Asian Rosé Masters competition prove that a great rosé is more than a pretty pale colour, the frivolity of marketing gimmicks, and celebrity tie-ins. 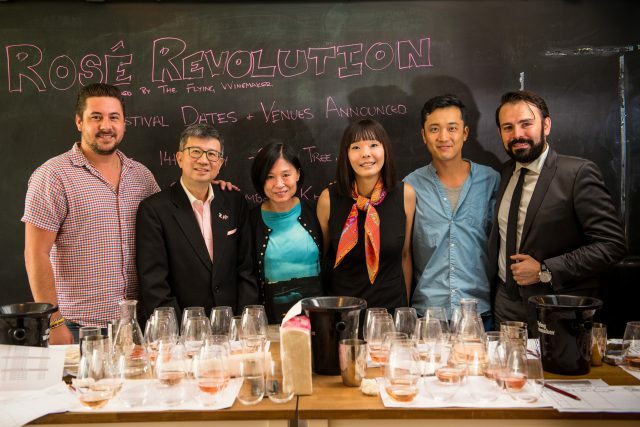 From left to right: Kyle Oosterberg, wine director at The Flying Winemaker; YK Chow, independent wine consultant; Ivy Ng, former publisher of the drinks business Hong Kong; Corinne Mui, COO and senior wine educator at Asia Wine and Spirits Education Centre (AWSEC); Juwan Kim, head sommelier at Zuma Hong Kong; Stefano Bartolomei, manager and wine director at Arcane. Much like a white or a red wine, a well-crafted rosé shows no shortage of aromas, flavours and complexity. Popular opinion often goes that rosé in general is a no-frill, carefree, easy and light drink, giving rise to the idea floated around by some marketers calling for the exemption of rosé wine from any kind of serious critiquing because of its so called “ephemeral summer-friendly nature”. This, however, sounds suspiciously like sloppy natural winemakers advocating faulty wines. An honest, well-made rosé demands – and should be given – the same kind of attention and respect reserved for a white Burgundy. This year’s competition, as judge Stefano Bartolomei, manager and wine director of Michelin-starred restaurant Arcane, pointed out, showed the high level of quality found in all the samples around the world, and a concerted effort among winemakers to reposition the pink wine. To put it lightly, Bartolomei reminisced that in the past, producers made rosé as a “solution” to deal with leftover reds and whites, or excessive red wine must. But with rosé’s profitability and commercial success (in France, for instance, rosé’s volume sales have surpassed white wine), today’s rosé winemaking is hardly a necessity to dissipate stocks but a new field for winemakers to experiment with wine styles from colour extraction, sugar level to virtually undiscriminating use of all red varieties such as Cinsault, Grenache, Pinot Noir, Sangiovese, Cabernet Franc, and Tempranillo to produce still and sparkling wines. 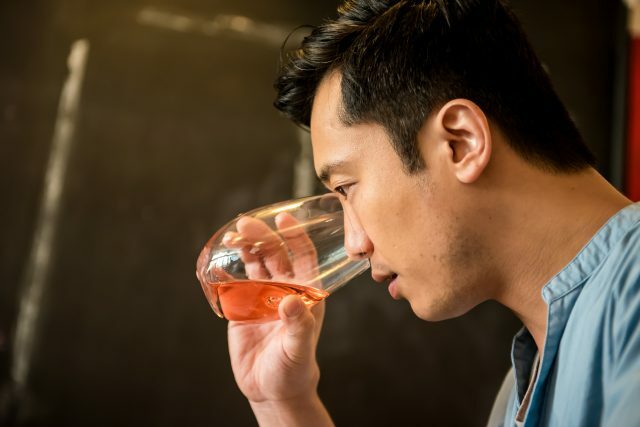 This lends the winemaker a creative hand to develop a new dimension of rosé wine, as Junwan Kim, head sommelier of Zuma noted. “It’s a chance to establish a new dimension of rosé wine by creative winemakers, unlike white or red winemakers who stick to traditional grape varieties. But winemakers certainly shouldn’t treat rosé wine as byproduct or additional wines when they make red or white wine,” as the sommelier deduced. In addition, more premium rosés with a bit of barrel ageing, body and texture are increasingly embraced by the on trade and sommeliers for more versatile food pairings, according to Corine Mui, COO and senior wine educator at AWSEC, when speaking about the new and recent ‘Rosé Gastronomique’ trend. Cantonese food in particular, as she singled out, is a match made in heaven for rosé wine especially for signature dishes like BBQ pork and fried rice. This is echoed by Bartolomei, who believes rosé is becoming a starter-to-finish, full menu-worthy food wine. The industry’s efforts to elevate rosé’s profile is best demonstrated in our Asian Rosé Masters Results with three wines winning the highest accolade of Master – one from Australia which is stunning value for money at under HK$150, and another two from France’s Languedoc and Champagne, respectively. New World regions such as Australia and New Zealand gave the traditional rosé historic base, Provence, a run for the money with the highest number of Gold-medal winners. Silvers are abound in countries such as Italy and Spain, traditional markets for the pink wine, and many medal winners from this year’s competition more encouragingly are mainly from the commercially viable price category of HK$100-HK$300. 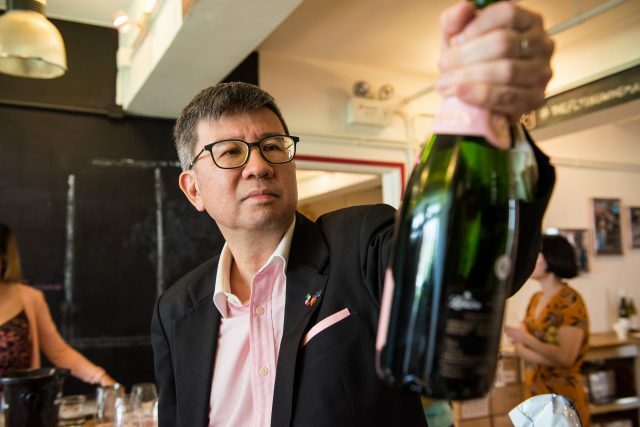 The Asian Rosé Masters is a competition created and run by the drinks business Hong Kong, and is an extension of its successful Asian Masters series. 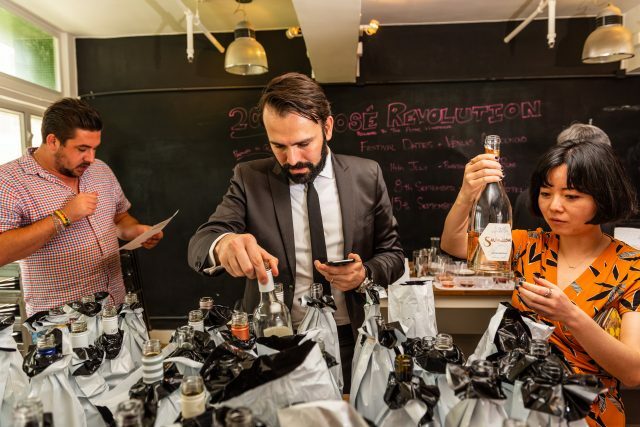 The competition is exclusively for rose wines and the entries were judged by a selection of experienced tasters including Hong Kong’s top sommeliers, sommeliers and wine educators. The top rosé wines were awarded Gold (93 points or above), Silver (89 points or above) or Bronze (85 points or above) medals according to their result, and those rosé that stood out as being outstanding received the ultimate accolade – the title of Master (97 points or above). 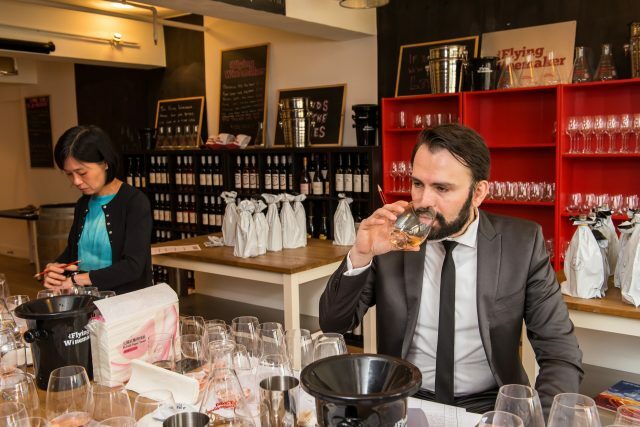 The wines were tasted over the course of a single day on 4 July, 2018 at The Flying Winemaker’s office in Central. This report features only the medal winners. The beauty of blind tasting, as we have stressed again and again in the past, is that we can put all wines regardless of wine regions on the same level playing field, without bias and preconceptions. Judged only by price and style (still, off-dry and sparkling), the competition saw the most number of Gold medal and Master medal winners under HK$150. Out of the total seven gold medals we have given out, five came from this price band, confirming that there’s plenty of quality in value – all from down under in Australia and New Zealand. “French producers still led the category at the top end of the spectrum, with gems from Australia and New Zealand giving a run for the money, particularly at the lower price range,” Yu-Kong Chow, independent wine consultant and wine judge, commented after all the identifies of the wines are revealed. At this level, judges are looking for approachable wines that are well balanced with abundant fruit characters and refreshing acidity. One stand-out is actually Jacob’s Creek Le Petit Rosé, a Provence style light coloured rosé produced from southeastern Australia. This crisp wine with plenty of berry and floral notes, perhaps is the quintessential quaffable rosé, and yet more stunningly, costs less than HK$100. Similarly, New Zealand’s Yealands Wine Group’s two value wines – Babydoll Rosé and Clearwater Cove Rosé – made from Pinot Noir grape in Marlborough impressed the panel with its depth of fruit character and liveliness. The three wines all achieved Gold medal in the under HK$100 price band. Moving slightly higher up in the HK$100-HK$150 price bracket, it is another leading Australian wine producer, Australia Vintage, parent company of McGuigan Wines, Tempus Two and Nepenthe, that proved to be the biggest winner. The McGuigan Rosé from Australia’s cool climate Adelaide Hills is lauded by Bartolomei for its “long finish and great complexity” with a “fresh floral and very clean” nose, earning the top prize of Master, the highest scoring Australian wine in this competition. Another high-scoring rosé is also from Adelaide Hills. The bone dry, full-bodied Nepenthe Altitude Rosé 2017 is redolent with red fruits, and subtle cranberry and grapefruit notes, earning it a Gold. The Marisco Vineyards’ The Ned Pinot Rosé, blended from Pinot Noir and Pinot Gris from Marlborough, is a crowd-pleaser noted for its strong and focused core of fruits and razor-sharp acidic edges. In the HK$151-HK$200 category, it is a copperish-coloured Romato from Italy’s venerable Marchesi Frescobaldi estate’s Attems rosé made in Northern Italy’s Friuli Venezia Giulia that swept the judges away with its incredibly long lingering flavours, flinty minerality and red core fruits. So far, most of the samples are Pinot dominated rosé made in the non-impassive stainless tanks with gentle pressing and short maceration to emulate Provence’s light-coloured style, still arguably the most popular category among consumers, which also makes it the most successful one by far in export market. 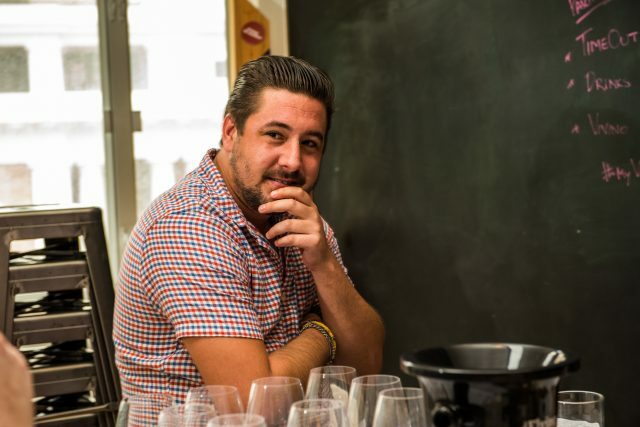 “I think nowadays, a consumer is trained to think that pale pink rosés are where the quality lies and more than half of the world market for rosé is made pale. Producers can’t sell dark rosé abroad even if the quality of the wine is fantastic so the darker rosés are made for local consumption (especially in the New World) and the paler ones for the international market,” explains Kyle Oosterberg, wine director of The Flying Winemaker, organiser of the Rosé Revolution tasting events in Asia. Admittedly, Provence rosé is coveted around the globe, but in this competition, with a wide spread of wines from across the globe, Provence entries performed well mostly in the Silver medal chart with fine representations from Brad Pitt and Angelina Jolie’s ‘Miraval’, Chateau Routas Rosé and Chateau d’Ollieres Prestige Rosé. Within France, another challenger came from Provence’s neighbour to the west, Languedoc. The sunny region bagged one Master medal with Gérard Bertrand Château la Sauvageonne La Villa 2017. Made from Grenache, Mourvedre, Vermentino, Viognier, the wine is a more complex version of rosé with six months of ageing in oak, giving it an extra layer of subtle toastiness on top of berry fruit flavours. The Grenache varietal is co-fermented with Vermentino and Viognier to ensure a seamless integrity, and the efforts are righteously awarded by the judges. This brings out a ticklish quality of the wine that has both rosé condemned and praised for – age, in the form of oak ageing and ageing potential. Granted many love rosé for its early drinking ability, a character that differs drastically with tannic reds, as nearly all samples of the competition are from either 2017 or 2018 vintage. Yet this ephemeral quality made many question rosé’s ageing potential, leading people to believe rosé is meant to be drunk young.There are however exceptions to the rule, as we have seen from top rosé from Bandol or Chateau d’Esclan’s premium Burgundian style ‘Garrus’, and also the top medal winner Gérard Bertrand Château la Sauvageonne La Villa that can age and improve over years. This Languedoc rosé is a fine example of how oak and barrel ageing can compliment rose’s overall quality if a wine has enough fruit core and acidity. For most producers, the key to rosé is its fruitiness, thus most are fermented in stainless steel tank to retain the fresh fruits. But with thicker skinned grapes with higher acidity such as Mouvedre, Tempranillio and Grenache, oak and barrel is applied more liberally in line to produce a more age-worthy rose. “like with many other wines, oak needs to be applied judiciously, and this would be no different for rosé as well. When done well, they taste fresh and vibrant in their youth, yet becoming more complex and mellowed as they grow older with dried fruits coming to the fore as the fresh fruits are nudged into the background. The texture would also transform becoming softer and more velvety,” Chow analysed. “An early indication of such an example is evidenced by the stellar performance and potential of the 2017 vintage of Château La Sauvageonne La Villa from Gérard Bertrand in this competition,” he praised. The key however as wine educator Mui succinctly summarised still hangs in balance. “Whether oak/barrel can improve the quality, it still depends on the balance of everything, i.e. oak, fruit flavours, acidity, body etc.” she demurred. “This is still the same for wines of all colours”. Of course, with more ageablity comes with higher price tags. “It depends on producers to be honest. Some styles of rose can be aged. For example, Clos Cibonne Tibouren Cuvée Spéciale des Vignettes can be aged for more than 5 to 6 years. But we can’t expect same longevity from wines under HK$1,000 per bottle,” Kim from Zuma restaurant exclaimed. Another category of rosé that can withstand longtime ageing is top cuvée from Champagne. The Champagne Lanson Rosé Label Brut Rosé NV, A blend of Chardonnay, Pinot Noir, and Pinot Meunier with racy acidity is a vibrant, flinty, superb sample of rosé that won over the judges with a much deserved Master, with firm certainty of ageing potential. The Champagne house’s Extra Age Brut Rosé with additional five years of ageing before release has more richness and bottle maturity on the front. The more vivid pink-coloured bubble was awarded a Gold as well. Both wines fall into the pricier HK$400-HK$800 price category. Overall, the samples are correctly made except a couple that showed hints of rotten egg, which could be excessive sulfur dioxide.